Sp. : Princess Cleopatra "Scent Flower"
Great internet battles have been fought over the validity of the above information, feelings hurt, accusations hurled, great stuff really, makes for a fun read. Of the above named folks, two are real ( meaning there is documented proof of their lives). Chief Opencancanough and John Dods. There is not much information about either man and certainly nothing that can substantiate the multiple claims of wives and children made about both of them. The Chief was never, at any time, in any document, called or referred to as Eagle Plume, and there are no documented children by him. I don't mean to say he didn't have any children, as I am sure he had a great many, but none were recorded. There is no document to support the existence of Princess Nicketti or her alias Jane Eagle Plume. John Dods came to Virginia on the Susan Constant in about 1607. In a muster of settlers he is named along with his wife Jane (Unknown). No children were ever documented. Well if this snippet doesn't set off warning bells than I can't help you. What is with the Chief being "of Colorado"? Jesse is the one who is supposed to be the progenitor of the Dodson family. He is said to be the father of Charles Dodson of Virginia. And to my knowledge there was only two bride ships, one in 1620 and 1621. I am related to John (Dods) Dodson and Jane Dier, who later married Lady Eagle Plum.There child was Jesse Dodson who married Judith Hagger and they had the following child: Charles Dodson who married Anne Elmore. In this instance another wife is mentioned: Jane Dier, and the Princess is a "Lady". asuram that they were married at the Jametown Community center since they didnt have different churches in those days and she was cocerited a Heathen being Indian. the next report I have on them is the MUSTERS of the INHABITANTS in Virghina 1623-1624. Pg 9 . It states:John Dods age 36 yeares in the SUSAN CONSTANT April 1607. Jane his wife age 40 years. It goes on to say: Corne,10 barrells;Pease,1/2 bushell,Fish,11/2 hundred. Armes and Munition. Powder 4lb.,Lead and bullets, 30lb,Peeces fixt.2.Coat of Male, 1 and head peece. S ward1Q. Poultrie 30. Home 1. They counted every thing in those days. Jane Eagle Plume married John Dods in the Jamestown Community Center, I wonder if she had a wedding planner. The writer commented that they counted everything in those days, notice what is missing from that count....children. There is no Jesse, William or Benjamin mentioned. Here's another thing to think about. The men who arrived on the Susan Constant could not feed themselves when they arrived in Virginia. Many of them starved to death, and John Dods was lucky to survive. Why would an Indian woman, a daughter of a powerful chief, want to marry a man who could not provide food and shelter for himself, not to mention for a wife and subsequent children? Why would a daughter of a powerful chief who waged war on the English newcomers marry one? Who's writing those internet genealogies? 1. I especially like this version, Great Grandpa Eagle Plume, really, you're killing me! You can always spot a genealogy blooper when two or more brothers are involved. The best part; they fled into the forests never to be seen again, if only! My 15th Great Grandpa, John Dods and 2 Brothers, came to Jamestown Colony on the Susan Constant, with Capt. John Smith (Family Legend says he too was a Cousin, but it is Largely unproven).John Dods should've been put as a Bigger Roll in the Jamestown Story, as he Helped with Relations between the Indians and the White Settlers. 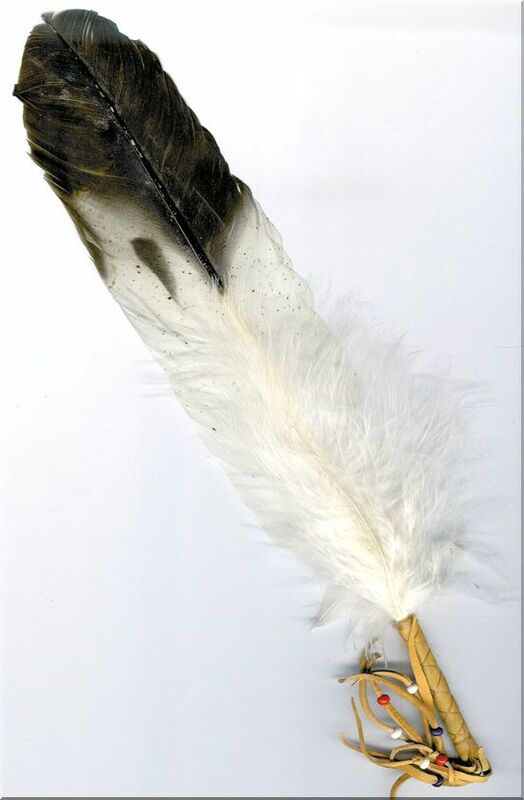 My 16th Great Grandpa is Chief Eagle Plume, and he was either a War Chief or a Sachem (Medicine Man).His Daughter Married my John Dods, and Started the Family now Known as the DODS/DODSON/DOTSON Family.When Relations between the White Settlers and the Indians became more than what could be Dealt with, John Dods and Jane Eagle Plume Fled into the VA. Forests, Never to be seen again, until the Sons of them turned up in AL.I am their Descendant, and there are Thousands of Relations Scattered across the Country that are Related to this Chief or Sachem. 2. Here is another funny story. I am not sure what King of Scotland the writer is speaking of but Kenneth I (843-858) was the first King of Scotland. Did they have civil engineers then? And what the heck are "first people"? And they got here in 1510, wow. I really like the use of the term "we", I think "we" are a bit confused about history, even if "we" did establish schools on arrival. My Dodson family story is that we are Old Caledonian from Scotland, that we are by occupation orchardmen (tree dressers), civil engineers and educators.However, we do not define ourselves in terms of employment.We are Old Caledonian: we are first people.As the family story goes, we were asked to give names and did. Later, we were asked to attend the installation of the first king of Scotland and did, insisting no man should have a king and we would attend on the condition all of us leave at the first opportunity which was presented when a cousin of Sir Walter Raleigh promoted the immigration idea to Sir Walter Raleigh that brought suitable people to North America to live there (as opposed to looking for quick profit, like gold or other precious commodities). However, there are other precious commodities returned to England. The tomato and the potato, from North America, were important, as were other items. The family story doesn't mention crops. It mentioned that this idea was supported and we arrived in 1510's. And so, we arrived on these shores and established substantial estate farms and orchards, roads, and schools. 3. Edited on 7 January 2013 I had to remove number three, the person who wrote it objected to being included on this page, she included a lot of ranting and foul mouth language and various threats, obviously she is not well. Okay, Okay, enough of the funny stuff. But seriously folks, these are the people who are posting to ancestry.com and other web based genealogy sites, they are the driving force behind all the information that you are blindly copying from the internet. If you want to claim John Dods and Jane his wife as your ancestor then you will have to prove that they had a son who was the father of Charles Dodson of Farnham, Virginia. The proof required is a document written in their lifetime which shows a family relationship. This could be baptismal records, marriage records, land grants or deeds or a will. If you can do that you will be a hero to hundreds of people who so desperately want to be descended from John Dods. Good Luck with your research and if you find any of these documents be sure to let me know. P.S. You'll never find proof that Jane Eagle Plume married John Dods, because everyone knows that she married Trader Hughes! You might also want to read this blogpost on Cleopatra the supposed mother of Nicketti and Jane Eagle Plume. So, are you saying that there is no documentation for Captain John Hughes? I think I have seen him as Trader Hughes? Is there some other writing you have done that can point me in that direction? Staci I have never found the name Captain John Hughes or Trader Hughes in any context. Thank you! I was wondering about that. It's interesting that people often make up a version of history. Thanks for all your work and diligence toward the truth!